Possibility to spend the night at Hong Kong airport (HKG), if open 24 hours. Services available, places to rest (free resting zones), or look for the list of nearby hotels and vip lounges..
Hong Kong airport is very large and navigating it can be confusing, so it is best to have comfortable footwear. It is generally very busy even at night, so have earplugs or headphones. Where to rest: Although in the public area there are not many possibilities, once you get through the security control you can find several benches with no armrests (if you look hard enough). 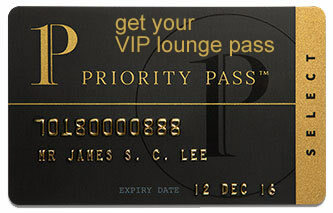 Another option is to enter one of the VIP lounges, some of which are open 24 hours a day. SEE VIP LOUNGES In addition, there is a hotel connected to Terminal 1. Baggage: A left luggage service is available, but it closes at night. Eating and drinking: Options open throughout the night inside both terminals. Restrooms: Besides the VIP lounges, you will find showers in the west hall of level 7. Other services available around the clock: ATMs, convenience stores, nursing rooms, prayer rooms, children's play areas. The Regal Airport Hotel (Tel +852 2286 8888) is connected to Terminal 1 through a covered bridge. Other accommodations in the surroundings include: Novotel Citygate Hong Kong (Tel +852 3602 8888), Hong Kong SkyCity Marriott Hotel (Tel +852 3969 1888), City Oasis Guesthouse (Tel +852 9032 5570), YHA Ngong Ping SG Davis Youth Hostel (Tel +852 2985 5610), Seaview Holiday Resort (Tel +852 2984 8877), Silvermine Beach Resort (Tel +852 6810 0111), Silverview Resort (Tel +852 2984 8081), Auberge Discovery Bay Hong Kong (Tel +852 2295 8288), Espace Elastique B&B (Tel +852 2985 7002). Some of them provide free shuttles to and from the airport.